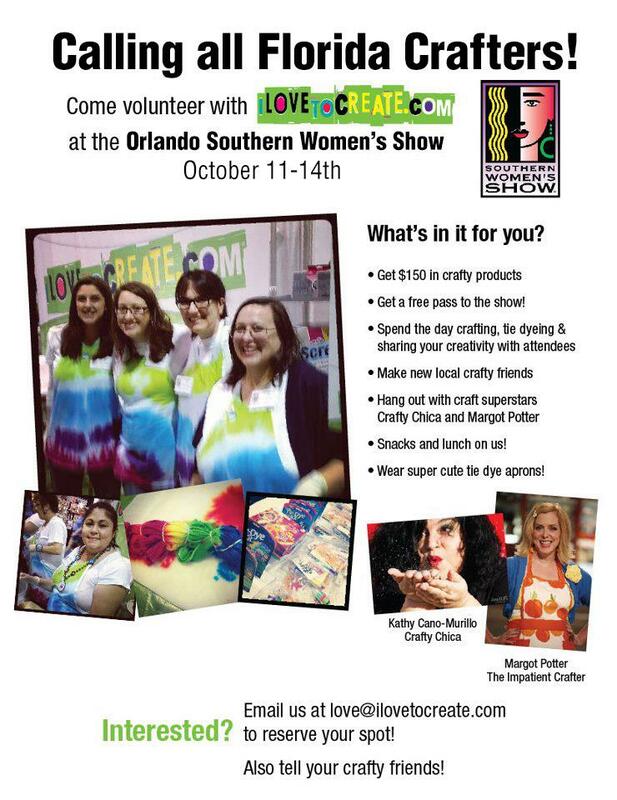 We are a just a week away from the fun festivities at the Orlando Southern Women's Show! We are still looking for volunteers for the event and are looking for crafty folks or those eager to learning something new! You'll get $150 worth of free goodies (and then some) as well as lunch on us and a free ticket to the show! 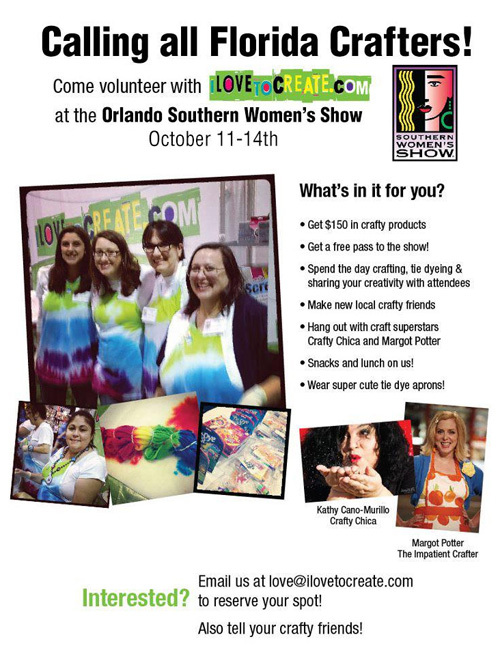 E-mail us at love@ilovetocreate if you are interested in participating! Spots are filling up fast, so write us ASAP to get in on the fun! so cool count me in . I volunteered for the Michigan womens show and had a blast. Just moved to Florida!